Alexander Wang designed its collection with dominant color black, white and beige. The used materials: leather, denim, crêpe, lace, sweatshirt, satin. Lenghts: various. We present the full collection. 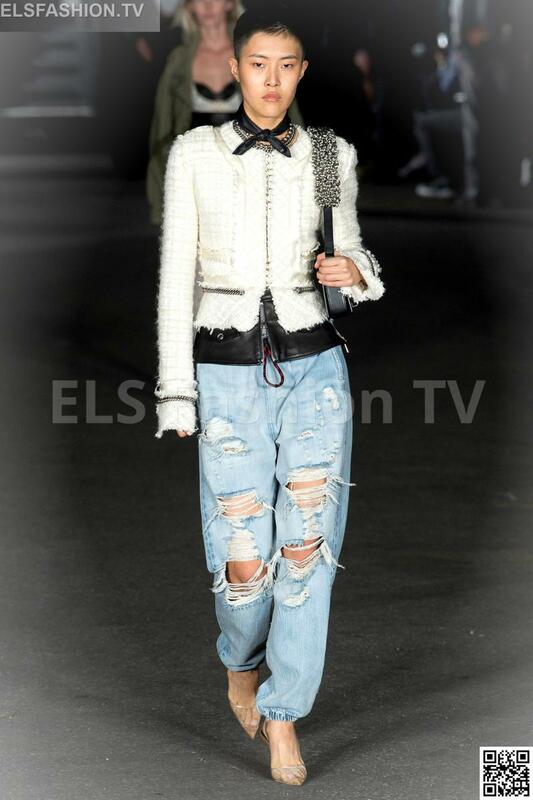 Click on any image below to enjoy the full Alexander Wang fashion shows Collection with 32 shoots!.